Henry Apgar. Vice President, MCR International, Inc., Thousand Oaks, California. M.B.A., Northeastern University; B.S. (Electrical Engineering), Rutgers University. Chapter 20—Cost Modeling. David A. Bearden. Senior Project Engineer, Corporate Business Division, The Aerospace Corporation, El Segundo, California. Ph.D., M.S. (Aerospace Engineering), University of Southern California; B.S. (Mechanical Engineering), University of Utah. Chapter 20—Cost Modeling. Robert Bell. Mission Analyst, Microcosm, Inc., Torrance, California. M.S. (Aerospace Engineering), University of Southern California; B.S. (Aerospace Engineering), University of Southern California. Appendix F—Units and Conversion Factors. Richard T. Berget. Program Director, BF Goodrich Aerospace, Data Systems Division, Albuquerque, New Mexico. M.S., B.S. (Electrical Engineering), University of New Mexico. Section 11.3—Command and Data Handling. J. B. Blake. Director, Space Sciences Department, Space and Environment Technology Center, The Aerospace Corporation, El Segundo, California. Ph.D., M.S. (Physics), University of Illinois; B.S. (Engineering Physics), University of Illinois. Section 8.1—The Space Environment. Daryl G. Boden. Associate Professor of Aerospace Engineering, U.S. Naval Academy, Annapolis, Maryland. Ph.D.(Aeronautical and Astronautical Engineering), University of Illinois; M.S. (Astronautical Engineering), Air Force Institute of Technology; B.S. (Aerospace Engineering), University of Colorado. Chapter 6—Introduction to Astrodynamics. William R. Britton. Mechanisms Section Manager, Space Systems, Lockheed Martin Astronautics, Denver, Colorado. B.S. (Mechanical Engineering), Drexel University. Section 11.6—Structures and Mechanisms. Robert F. Brodsky. Chief Engineer, Microcosm, Inc., Torrance, California. Adjunct Professor of Aerospace Engineering, University of Southern California. Sc.D. (Engineering), New York University; M.Aeron. Engineering, New York University; M.S. (Mathematics), University of New Mexico; B.M.E., Cornell University. Chapter 9—Space Payload Design and Sizing. John B. Carraway. Principal Engineer, Jet Propulsion Laboratory, Pasadena, California. B.S. (Electrical Engineering), Massachusetts Institute of Technology. Chapter 14—Mission Operations. Bruce Chesley. Small Satellite Program Manager and Assistant Professor of Astronautics, U.S. Air Force Academy, Colorado Springs, Colorado. Ph.D. (Aerospace Engineering), University of Colorado, Boulder, M.S. (Aerospace Engineering), University of Texas at Austin; B.S. (Aerospace Engineering), University of Notre Dame. Chapter 9—Space Payload Design and Sizing. John T. Collins. System Engineer, Microcosm, Inc. B.S. (Aerospace Engineering), University of Illinois (UIUC); B.S. (Astronomy), University of Illinois (UIUC). Section 20.5—FireSat Example. Richard S. Davies. Technical Staff, Stanford Telecommunications, Inc., Santa Clara, California. Engineer, Stanford University; M.S., B.S. (Electrical Engineering), University of Pennsylvania. Chapter 13—Communications Architecture. Simon D. Dawson. Systems Engineer, Microcosm, Inc., Torrance, California. MSc (Spacecraft Technology and Satellite Communications), University College London, University of London; BSc (Hons) (Physics & European Studies), University of Sussex. Appendices; Inside Rear Pages—Earth Satellite Parameters. Fred J. Dietrich. Principal Engineer, Globalstar, LP., Palo Alto, California. Ph.D., Ohio State University; M.S. (Electrical Engineering), Purdue University; B.S. (Electrical Engineering), Missouri School of Mines. Chapter 13—Communications Architecture. Peter G. Doukas. Senior Staff Engineer, Martin Marietta Astronautics Group, Denver, Colorado. B.S. (Aeronautics and Astronautics), Purdue University. Section 11.6—Structures and Mechanisms. John S. Eterno. Chief Scientist, Bali Aerospace & Technologies Corp., Boulder, Colorado. Ph.D., M.S. (Aeronautics and Astronautics), Massachusetts Institute of Technology; B.S. (Aerospace Engineering), Case Western Reserve University. Section 11.1—Attitude Determination and Control. Rick Fleeter. President, Aero Astro, Herndon, Virginia. Ph.D. (Thermodynamics), Brown University; M.Sc. (Astronautics and Aeronautics), Stanford University; A.B. (Engineering and Economics), Brown University. Chapter 22—Design of Low-Cost Spacecraft. D. J. Gorney. Principal Director, Defense Support Program, The Aerospace Corporation, El Segundo, California. Ph.D., M.S. (Atmospheric Sciences), University of California, Los Angeles; B.S. (Physics), University of Bridgeport, Connecticut. Section 8.1—The Space Environment. Eric W. Grob. Aerospace Engineer, Thermal Engineering Branch, NASA Goddard Space Flight Center, Greenbelt, Maryland. M.S. (Mechanical Engineering), Drexel University; B.S. (Mechanical Engineering), West Virginia University. Section 11.5—Thermal. L. Jane Hansen. President, HRP Systems, Torrance, California. M.B.A., Pepperdine University School of Business and Management; B.S. (Applied Mathematics), California Polytechnic State University, San Luis Obispo. Chapter 16—Spacecraft Computer Systems. Brian E. Hardt Senior Project Engineer, The Aerospace Corporation, El Segundo, California. M.S. (Mechanical Engineering), University of Dlinois at Urbana-Cham-paign; B.S. (Mechanical Engineering), University of Illinois at Urbana-Champaign. Section 11.5—Thermal. Herbert Hecht. Chairman of the Board, SoHaR, Inc., Beverly Hills, California. Ph.D. (Engineering), University of California, Los Angeles; M.S. (Electrical Engineering), Polytechnic University of New York; B.S. (Electrical Engineering), City University, New York. Section 19.2—Reliability for Space Mission Planning. Robert W. Hosken. Member of the Technical Staff, The Aerospace Corporation, El Segundo, California. Ph.D. (Physics), University of Illinois; B.S. (Electrical Engineering), Polytechnic Institute of Brooklyn. Chapter 16—Spacecraft Computer Systems. Douglas Kirkpatrick. Visiting Professor, U.S. Air Force Academy, Colorado Springs, Colorado. Ph.D., University of Texas at Austin; M.S., Purdue University; B.S., U.S. Air Force Academy. Section 11.2—Telemetry, Tracking, and Command; Chapter 18—Launch Systems. Malcolm K. Kong. Manager, Hardness & Survivability Engineering, TRW Systems & Information Technology Group, Redondo Beach, California. M.S. (Systems Engineering), West Coast University, Los Angeles; B.S. (Electrical Engineering), Purdue University. Section 8.2—Hardness and Survivability Requirements. H. C. Koons. Distinguished Scientist, Space Sciences Department, Space and Environment Technology Center, The Aerospace Corporation, El Segundo, California. Ph.D. (Geophysics), Massachusetts Institute of Technology; B.S. (Physics), Massachusetts Institute of Technology. Section 8.1—The Space Environment. Wiley J. Larson. Director, Space Mission Analysis and Design Program, U.S. Air Force Academy, Colorado Springs, Colorado. D.E. 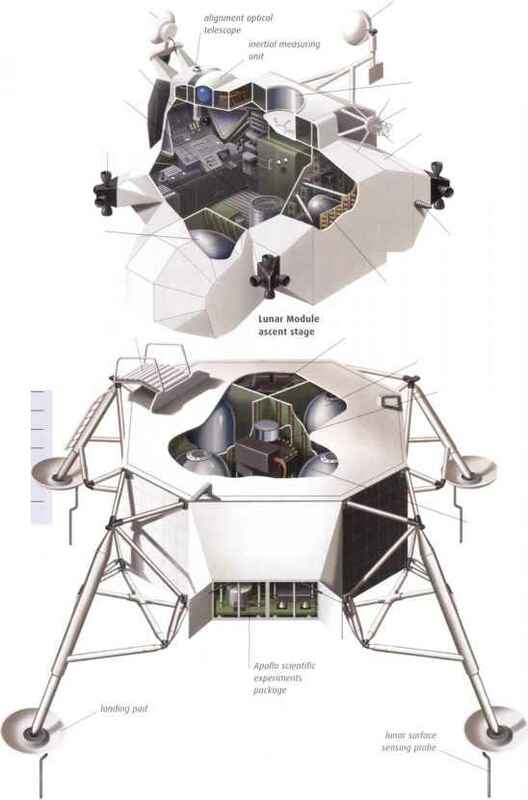 (Spacecraft Design), Texas A&M University; M.S. (Electrical Engineering), University of Michigan; B.S. (Electrical Engineering), University of Michigan. Editor; Chapter 1—The Space Mission Analysis and Design Process; Chapter 14—Mission Operations; Chapter 23—Applying Space Mission Analysis and Design Process. Joseph P. Loftus, Jr. Assistant Director for Plans, LJ3. Johnson Space Center, NASA, Houston, Texas. Sloan Fellow (Business), Stanford University; M.A. (Math and Psychology), Fordham University; B.A. (Math and Psychology), Catholic University. Chapter 1&—Launch Systems. Reinhold Lutz. Director, Technology Strategy, Daimler Chrysler Aerospace, Bergen, Germany. Dr.-lng., University of German Forces; Dipl.-Ing., Technical University Munich. Chapter 9—Space Payload Design and Sizing. Ronald A. Madler. Associate Professor, Embry-Riddle Aeronautical University, Prescott, Arizona. Ph.D., M.S., B.S. (Aerospace Engineering Sciences), University of Colorado, Boulder. Section 21.2—Orbital Debris—A Space Hazard. James R. McCandless. Manager (Retired), Stress Analysis, Space Systems, Lockheed Martin Astronautics, Denver, Colorado. B.S. (Architectural Engineering), University of Texas. Section 11.6—Structures and Mechanisms. Joseph K. McDermott Engineering Manager, Lockheed Martin Astronautics Group, Denver, Colorado. MJE. (Engineering Management), University of Colorado; B.S. (Chemistry), Loras College. Section 11.4—Power. Darren S. McKnight Vice President, Titan Research and Technology, Reston, Virginia. Ph.D. (Aerospace Engineering), University of Colorado; M.S. (Mechanical Engineering), University of New Mexico; B.S. (Engineering), U.S. Air Force Academy. Section 21.2—Orbital Debris—A Space Hazard. Wade Molnau. Manufacturing Manager, Motorola Systems Solutions Group, Space Services and Systems Division, Scottsdale, Arizona. Ph.D., M.S., B.S. (Industrial Engineering), Arizona State University. Section 19.1— Designing Space Systems for Manufacturability. Paul Nordin. NASA/TDRS Resident Office Manager at Hughes Space and Communications, El Segundo, California, employed by The Boeing Company, Seabrook, MD. Ph.D., M.A., B.A., (Nuclear Physics), University of California, Berkeley. Section 8.2—Hardness and Survivability Requirements. Jean Olivieri. Teledesic Bus Production Manager, Motorola Advanced Systems Division, Chandler, Arizona. M.S., B.S. (Industrial Engineering), Arizona State University. Section 19.1— Designing Space Systems for Manufacturability. Wes Onsley. Head, Thermal Engineering Branch, NASA Goddard Space Flight Center, Greenbelt, Maryland. B.S. (Mechanical Engineering), University of Maryland. Section 11.5—Thermal. Craig H. Pollock. Space Systems Engineer (Onboard Processing Design Integration and Operations Engineering), TRW Space and Defense Sector, Redondo Beach, California. M.A. (Mathematics), California State University, Long Beach; B.S. (Physics and Mathematics), University of New Mexico. Chapter 16—Spacecraft Computer Systems. Robert C. Prager. Engineering Specialist, The Aerospace Corporation, El Segundo, California. MS. (Engineering), University of California, Berkeley. B.S. (Engineering), Princeton University. Section 113—Thermal. Emery I. Reeves. Shriever Chair Professor of Space Systems Engineering, U.S. Air Force Academy, Colorado Springs, Colorado. M.S. (Electrical Engineering), Massachusetts Institute of Technology; B.E. (Electrical Engineering), Yale Univerity. Chapter 10—Spacecraft Design and Sizing, Chapter 12—Spacecraft Manufac-ure and Test. Richard P. Reinert. Staff Consultant, Spacecraft and Mission Design Division, Ball Aerospace Systems, Boulder, Colorado. B.S. (Aeronautical Engineering), Massachusetts Institute of Technology. Chapter 2—Mission Characterization. Robert L. Sackheim. Deputy Director, Propulsion Technology and Fluid Mechanics Center, TRW, Inc., Redondo Beach, California. M.S., B.S. (Chemical Engineering) Columbia University. Chapter 17—Space Propulsion Systems. Thomas P. Sarafin. Consultant/President, Instar Engineering and Consulting, Inc., Littleton, Colorado. B.S. (Civil Engineering), Ohio State University. Section 11.6—Structures and Mechanisms. Michael Schulz. Senior Scientist, Lockheed Martin Advanced Technology Center, Palo Alto, California. Ph.D. (Physics), Massachusetts Institute of Technology; B.S. (Physics), Michigan State University. Section 8.1—The Space Environment. Chad Spalt Production Technical Lead, Motorola Satellite Communications Group, Mobile Satellite Systems Division, Chandler, Arizona. M.S. (Industrial Engineering), Arizona State University; B.S. (Mechanical Engineering Technology), Southern Illinois University. Section 19.1—Designing Space Systems for Manufacturability. Charles Teixeira. Chief, Systems Definition Branch, L.B. Johnson Space Center, NASA, Houston, Texas. M.S. (Mechanical Engineering), Louisiana State University; B.S. (Aeronautical Engineering), New York University. Chapter 18—Launch Systems. Alan C. Tribble. Manager, Applications Development, Information Technology, Rockwell Collins, Cedar Rapids, Iowa. Ph.D., M.S., (Physics), University of Iowa; B.S. (Physics), University of Arkansas. Section 8.1—The Space Environment. A. L. Vampola. Consultant, Space Environment Effects, Vista, California. Ph.D., M.S. (Physics), St Louis University; B.S. (Mathematics and Physics), Creighton University, Nebraska. Section 8.1—The Space Environment. R. L. Walterscheid. Senior Scientist, Space Sciences Department, Space and Environment Technology Center, The Aerospace Corporation, El Segundo, California. Ph.D. (Atmospheric Sciences), University of California, Los Angeles; M.S. (Meteorology), University of California, Los Angeles; A.B. (Physics), University of California, Berkeley; B.S. (Meteorology), University of Wisconsin. Section 8.1—The Space Environment. Stanley I. Weiss. Visiting Professor, Massachusetts Institute of Technology and University of California Davis; Formerly Corporate VP Engineering and VP Research and Development, Lockheed Corporation; Ph.D., University of Illinois; M.S., B.S., Renesselaer Polytechnic Institute. Chapter 4—Requirements Definition. James R. Wertz. President, Microcosm, Inc., Torrance, California. Ph.D. (Relativity & Cosmology), University of Texas, Austin; M.S. (Administration of Science and Technology), George Washington University; S.B. (Physics), Massachusetts Institute of Technology. Editor; Chapter 1—The Space Mission Analysis and Design Process; Chapter 2—Mission Characterization', Chapter 3—Mission Evaluation; Chapter 5—Space Mission Geometry, Chapter 7—Orbit and Constellation Design; Section 8.1—The Space Environment, Section 11.7—Guidance and Navigation; Chapter 23—Applying the Space Mission Analysis and Design Process; Appendix E—Universal Time and Julian Dates. Gary G. Whitworth. Senior Engineer (Retired), Applied Physics Laboratory, Johns Hopkins University, Laurel, Maryland. B.S. (Electrical Engineering), University of Tennessee. Chapter 15—Ground System Design and Sizing. Michael S. Williams. Vice President, Personal SATCOM Systems, Lockheed Martin Global Telecommunications, Reston, VA. M.S. (Electrical Engineering), University of Pennsylvania; M.B.A. (Statistics/Operations Research), Temple University; B.S. (Physics), St Joseph's University. Chapter 4—Requirements Definition. William B. Wirin. General Manager, Wirin & Associates. J.D. (University of Southern California School of Law); B.A. (Political Science), Occidental College. Section 21.1—Law and Policy Considerations. Robert E. Wong. Manager, Economic Analysis, TRW Systems Engineering and Development Division, TRW, Inc., Redondo Beach, California. PhJD. (Economics), University of Southern California; M.S. (Mathematics), University of Southern California; M.A. (Economics), University of Southern California; B.S. (Physics), Iowa State University. Chapter 20—Cost Modeling. Sidney Zafran. Program Manager, TRW, Inc., Redondo Beach, California. B.S. (Mechanical Engineering), Massachusetts Institute of Technology. Chapter 17— Space Propulsion Systems.